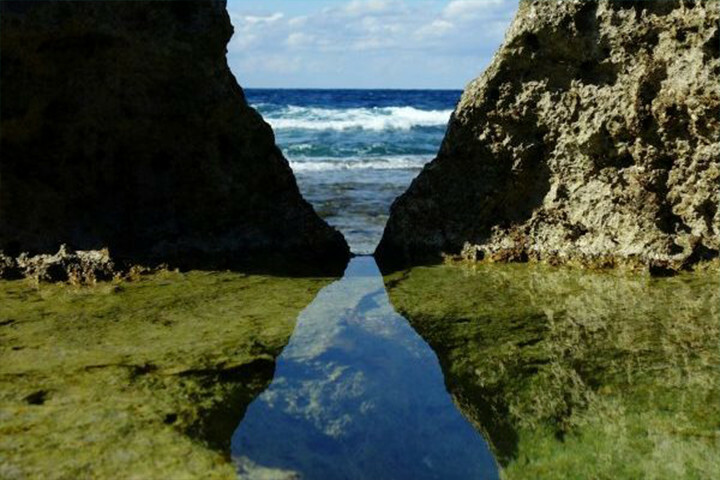 Ocean and Mountain tailored tours and experiences in and around Okinawa's beautiful islands. 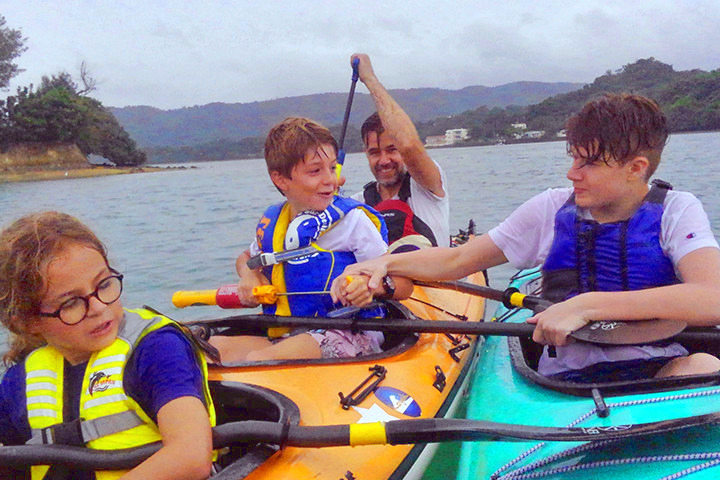 Kayak, Paddle Board/SUP, snorkelling, mangroves, hiking, bird spotting, secret beaches, river trekking, camping and more. Private tours and experiences from a few hours to a few days. Featured on Airbnb Experiences - please see this page for more information. Padaloha has two bases on the main Okinawa Island, in Yomitan, in the centre of Okinawa and in Nakijin (about 20 minutes from the aquarium). We will normally arrange to meet at one of the locations pinned on the map, choice of location will be agreed apon the day before so we can have the most fun depending on your choice of activity. Check out the rest of this website for more information. 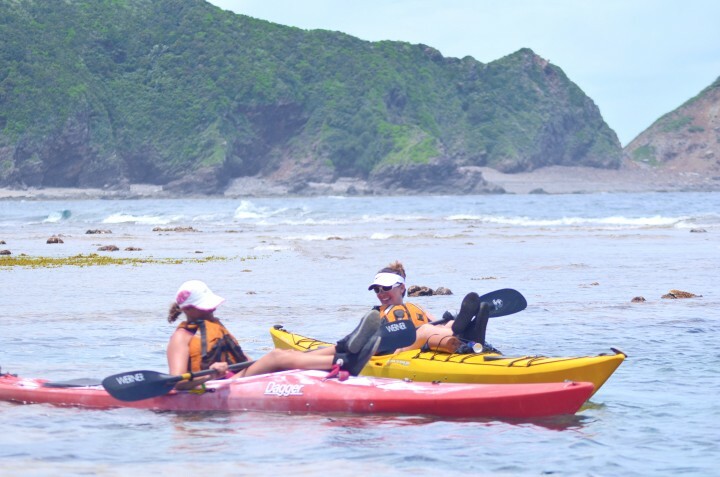 Padaloha Kayak Club Membership information - Please see this page. We like to take our snorkels with the Paddle Board or Kayak, this makes it possible to reach parts of the reef a long way from the shore. We have a range of activies for children aged 2 and up. 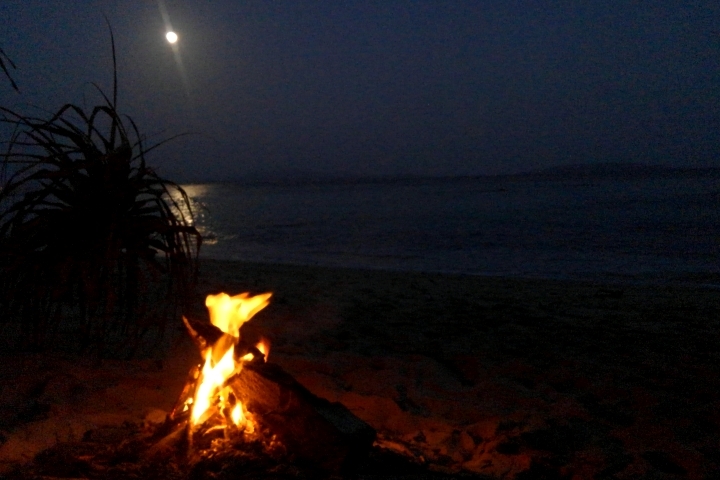 Kayaking, Snorkelling, Paddle Boarding, On a tour or based from the beach, please contact us to tailor your experience. 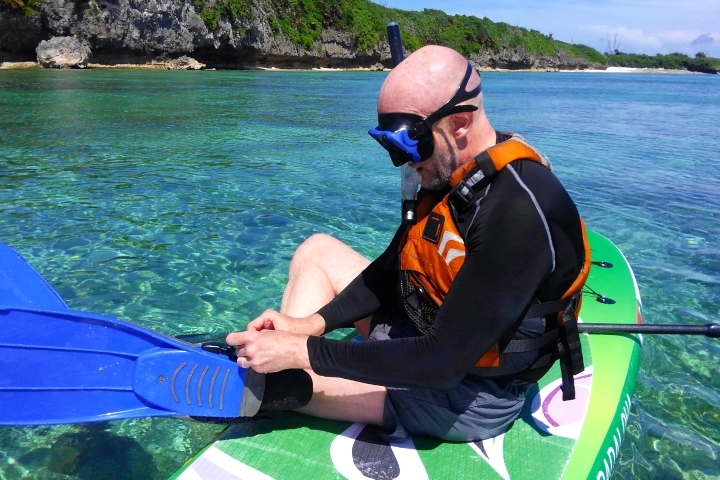 Exploring the reefs, fish and Coral by Paddle Board is one of our favorite activies. It can be as relaxing as you wish and great for families or first timers, but equally can turn into a work out. 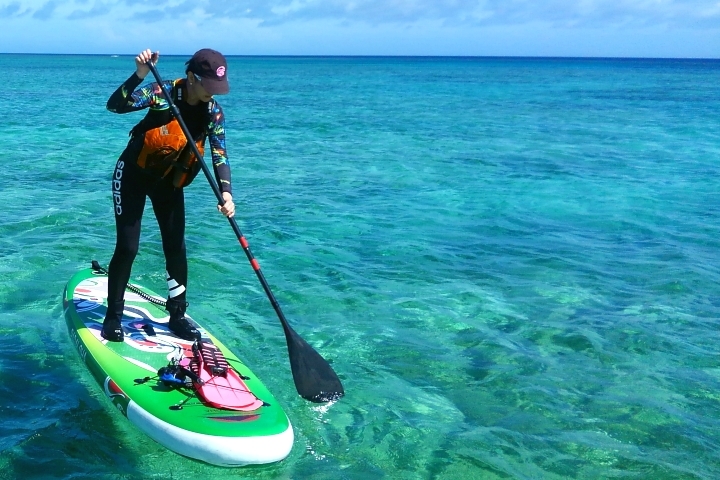 Discover Okinawa in professional sea kayaks, enabling you to go further and experience more. There are a variety of places to visit for all types of ability, from complete beginner to seasoned pro. Explore coasts, reefs, mangrove riverbanks and secret beaches, on the east or the west of the island. Okinawa has some fantastic rivers to explore. 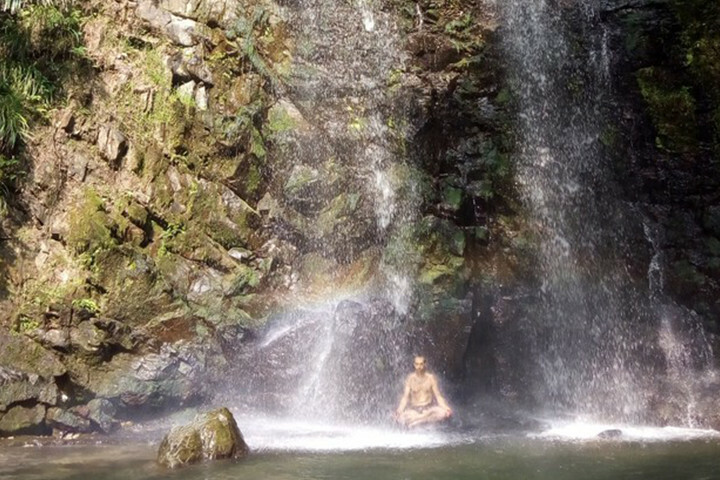 We can take you along a shaded winding river to a fantastic waterfall, a great way to get out of the sun and through the cool water. 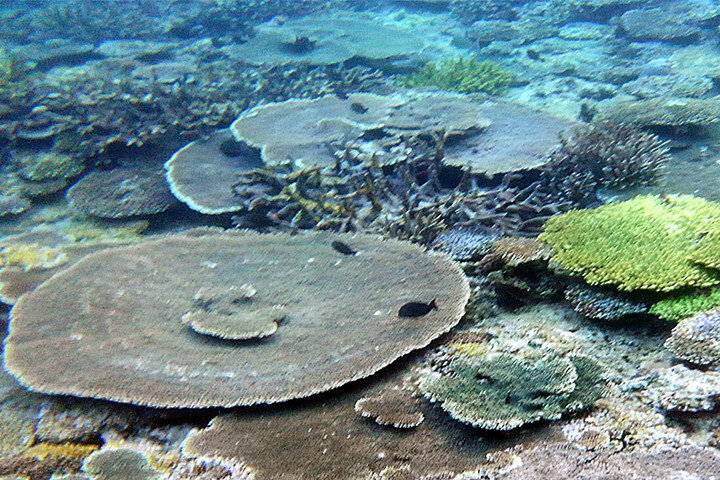 Tide pooling is a great why to learn about reef ecology and the precautions we should take when walking on it. This is a learning experience and is great for kids. Exploring the coast at night after experiencing a magical sunset, Ideally planned when the moon is bright this is an exciting and novel way to explore Okinawa. Learning about the health of the coral or beach clean up events are run by Ryukyu Ocean Defenders (NPO), fun events, with lots of learning and active participation which gets the whole family involved.